Contributed $500 towards a trip to the State Capitol for all six Fifth Grade classes. While there, students toured the Capitol Building, observed Tennessee law makers in action, and met with their local State Representative and the State Senator. 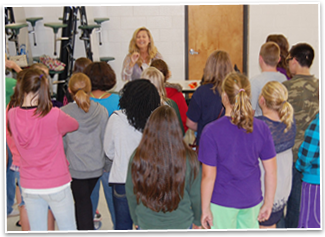 In 2010, several teachers and community volunteers launched an after-school Glee Club for interested students. Thirty (30) students responded but, since this activity was not part of the regular curriculum, there were no start-up funds. Rockwood 2000 donated $200 for the purchase of sheet music and in 2011 donated $700 for a keyboard. Rockwood High School Beginning in 2011, a deserving RHS senior was selected for a $1,000 scholarship to be paid to the trade school or college of the student's choice. 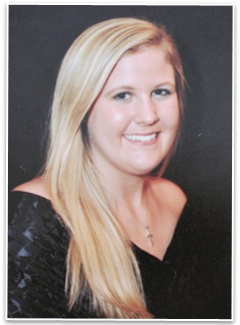 Miss Kiley Gunter, currently attending Chattanooga State, was the first scholarship winner. One Hundred Twenty Five dollar donation to Roane County Imagination Library, which will provide books for ten area children for a year. Occasionally events present us with the opportunity to provide educational forums to the general public. One such instance was the June 2011 election of several new City Council members. Rockwood 2000 hosted a “meet the candidates” question and answer session at City Hall, which was open to all Rockwood residents. All candidates running for City Council were invited to attend; all questions asked of each candidate came from the audience, and Rockwood 2000 provided the moderator. In 2011, Rockwood 2000 was recognized by the Delta Kappa Gamma International Society with a Community Education Award. The Delta Kappa Gamma Society International is a professional honorary Society of women educators. The Society promotes professional and personal growth of its members and excellence in education.